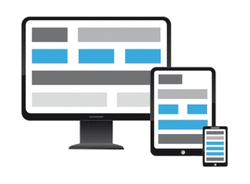 Mobile Friendly Websites Port Macquarie | Oi Marketing - Your Premier Web Design People! Here at Oi Marketing, we take our business seriously and this means we need to take your business seriously. We design and develop websites that give a truly unique representation of your business for the whole world to see and interact with. The number of mobile devices like phones and tablets accessing the internet has now exceeded traditional computers. We don't just think mobile marketing is important, we know it is! Having a mobile presence is absolutely vital in today's portable-tech world. How many people do you see with their face glued to a phone screen every day? Like to maintain control over your website content yourself? It's never been easier utilising Drag & Drop technology on your PC or Tablet. Using a CMS is a great way to provide your customers with up to date information about your business without the additional cost of employing a web developer each time. More than ¾ of Australian internet users shop online and handed over nearly 17 billion dollars in the 12 months to April 2015. Our solution makes online selling as easy and 'Australia friendly' as possible. Sell your products or services online and take payment directly on your website. A fantastic monitoring tool-set which gives you full insights into your website traffic and marketing effectiveness. It can give you statistics about your visitors locations, who referred them plus much more. It has never been easier to set up your business with an online presence. Simply tell us what your requirements are and leave the rest to us while you relax. Don't worry though, we'll keep you updated throughout the entire process. It all starts with simply getting in touch with us. Our contact information is available here or alternatively use the form below. We're sure you will find us a friendly approachable team who believe in providing good quality customer service that seems to be so hard to find these days. Everything will be presented to you in a logical, honest and easy to understand manner.